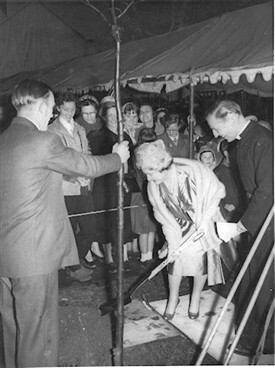 St. Peter's new church centre was opened in November 1960 by the Queen Mother which caused much excitement among those involved. We were all under orders from Scoutmaster Les Cartwright to have our uniforms in the most pristine condition ever. I was a Patrol Leader at the time and I remember feeling quite proud. 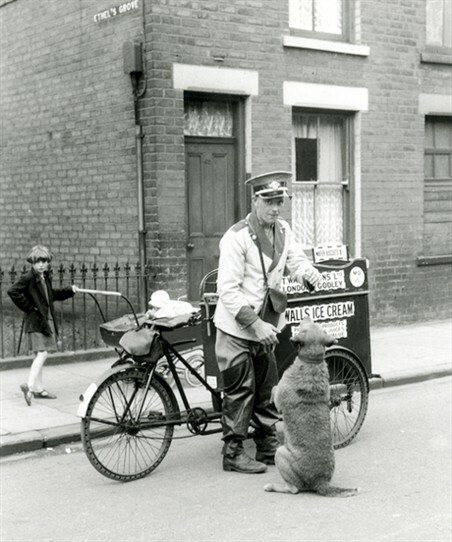 Strangely, the biggest thing I remember about the day was that my older brother, Derek, wore, as was the fashion of the day, 'winklepicker' shoes and the Queen Mother commented to him something about "did his toes reach the point at the end"! The other memory of the hall was that the scout troop (2nd Morden St Peters) had its own den at the back of the centre. Taking up the whole of one wall was a mural dedicated to the scouts and the pop star Adam Faith visited the centre and actually signed the mural. This page was added by Cheryl Bailey on 29/05/2011. I remember seeing the Queen Mother opening the centre which became the Cross Keys youth club that Pat, my friend, and myself went to each week. I was in the 11th St Helier (St Peters) Guide Company and still have my official invitation to the Church Centre opening. The Guides helped form a Guard of Honour, so we got a really good view of the Queen Mother, who, I remember, was dressed in blue and had immaculate make up! Before the new hall was built there were 2 wooden old halls. The hall where the Guides met had a very dusty floor and it looked like something out of Dads' Army. The new hall, by comparison, seemed palatial. 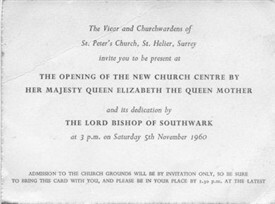 I remember the Queen Mother's visit to open the new Hall at St. Peters Church in Bishopsford Road on 5th November 1960. I was part of the Guard of Honour of Brownies, Guides, Cubs and Scouts. I was very proud to be chosen from my brownie pack (1st St. Helier (St.Peters) to present a bouquet to the Queen Mother. My lasting memory of the day is the large glittering diamond brooch she was wearing! She spoke to me about the brownie pack I belonged to. My parents were given an official invitation to sit with important guests to get a good view of the event. The vicar in the photo was Father Nigh who had been in a POW camp in Japan. He came back to UK in a poor state of health. When he returned to his church in 1950 I was the first baby he christened at St. Peters Church. 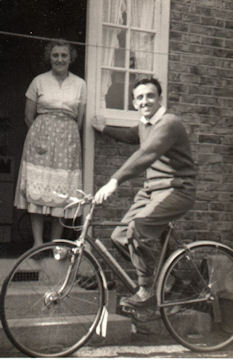 My family lived in Middleton Road from 1934 until 1967. I love this site - the memories come flooding back! OH I remember this special day - I was 9, and I had new red kitten heels to wear especially for the occasion!...bought from the provi shop of course at Rosehill.....Leonards?? I remember this visit. I was also part of the guard of honour. 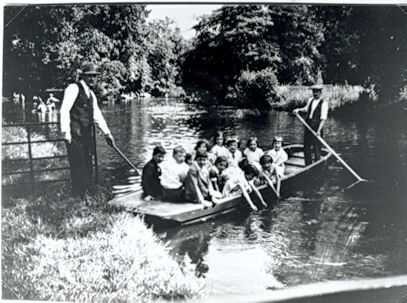 Scout troop 9th Morden. We had to be smart, on our best behavour and practise marching etc. I have a vague memory of this as an 8 year old being in the guard of honour as a brownie. A more vivid recollection I have is reading in the local paper that 'little Wendy Mead' had given a bouquet to her Majesty. I was a little confused as Wendy was bigger than me! I was a Brownie and the Queen Mother asked me if i liked being a Brownie, i told her i was going up to Guides soon. My uniform was so small it was at the top of my legs, I should have gone up to Guides a couple of weeks before, but I wanted to stay to be in the front row.